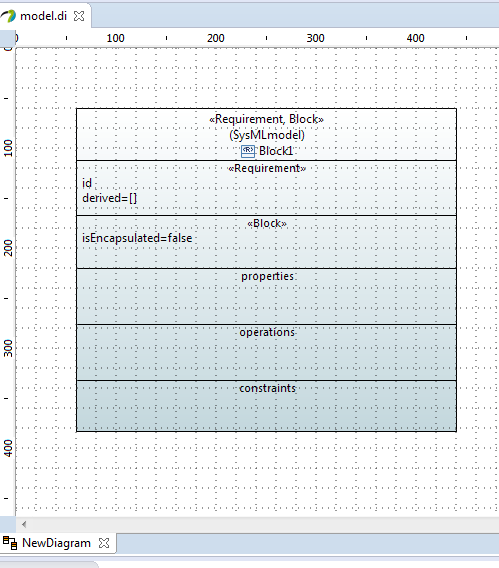 By Default Snap To Grid allows to snap on the grid using the top left corner of the figure (in case of Rctangle). To improve this behavior, you should subclass the GMF Class org.eclipse.gmf.runtime.diagram.ui.tools.DragEditPartsTrackerEx or one of its superclass. Then you must ovveride the method org.eclipse.gef.EditPart.getDragTracker(Request) in the edit part concerned by your specific SnapToGrid. In Papyrus we change this class to be able to snap on the 4 corners, the four middle and the center of a rectangle. Have a look to these classes to get examples. Increasing the size of a node, must not move the anchors of the links. moving the source anchor, the target anchor, the source object, the target object and the bendpoints don't update the others values. This feature is implementing in GMF, with an integration in Papyrus. SlidableSnapToGridAnchor, a specific anchor, allowing to snap to grid, used by the custom routers., so the figures must support it. LinkLF is enabled by the plugin org.eclipse.papyrus.uml.diagram.linklf. This plugin provides specific editpolicies for Diagram (UML and SysML) and manage the anchor delegation. the order used to display of the stereotypes (in comment, compartment or braces) was not correctly implemented in Luna, so the order can change in Mars. The problem should be fixed in Neon. This order problem could impact the icon displayed for the element too. 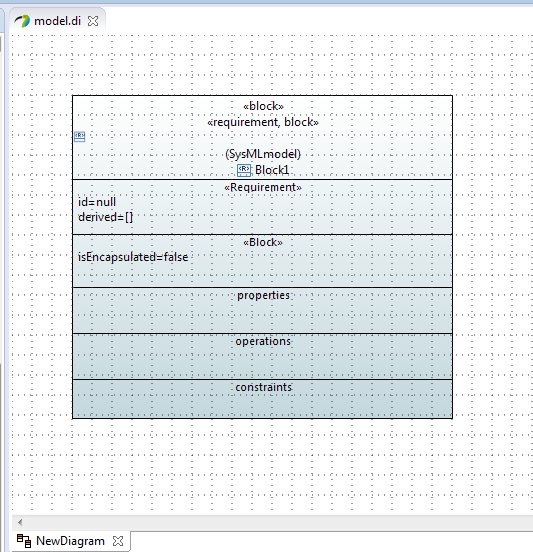 in SysML, the Block Figure displayed <<block>> before the name of the class. This feature has been removed. the properties displayed in brace appears now above of the name of the element (Mars). On Luna, they appeared under the name of the element. This page was last modified 08:45, 30 May 2016 by vincent.lorenzo .